The 2017 EuroBasket tournament, the 40th EuroBasket tournament, begins on 31st of August 2017 and runs to the 17th of September. There are 24 teams taking part in the event which takes place across four different countries. 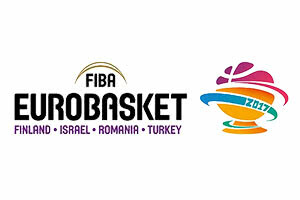 This event is the first of the new cycle for EuroBasket tournaments, which sees the event taking place every four years as opposed to every two years. In the group stage of the 2017 EuroBasket event, the top four teams in each group will progress to the knockout stage while the bottom two teams in each group will be eliminated. The nature of the finished table and how they impact on the route a team will face in the knockout round means that the final run of fixtures may see teams playing tactically, even if they have already confirmed their place in the next stage of the tournament. This is the sort of thing that can impact the outcome of a game (perhaps through a coach resting players or a team deciding they will have a more attractive route by finishing in a certain position), so if you are looking to bet on EuroBasket 2017 games, bear this in mind. Of course, if you are convinced that a team will have a future game or stage in mind, this may give you an opportunity to find value in bets at this stage of the tournament. The top four teams in each group will all be heading to Istanbul for the knockout stage of the tournament which gets underway on the 9th of September with all Round of 16 games taking place on the 9th and 10th of September. On the 17th of September, the two teams who won their semi-final will compete in the Championship game while the two losing semi-finalists will participate in the Bronze medal match. At Basketball Betting, we are very much looking forward to the 2017 FIBA EuroBasket tournament, and we’ll keep you informed of the latest betting odds for the event.